2 corundum grinding bits (1 each sphere and cone 13/64" (5 mm)). Each 1 micro drill 3/64" (1 mm) and 3/32" (2,3 mm). 5 cutting discs Ø 7/8" (22 mm). 1 mandrel shank size 3/32" (2,35 mm). 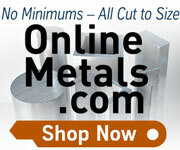 For cutting, milling, polishing and drilling.